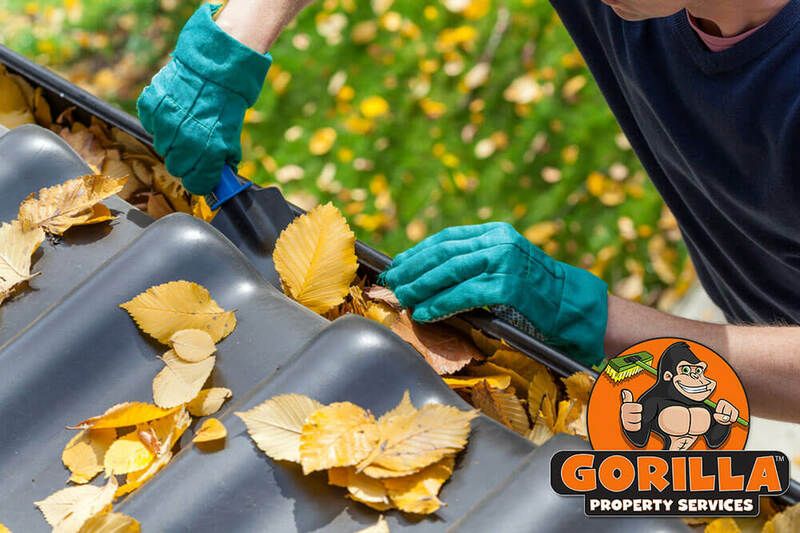 Cleaning the gutters around your property might seem like a straight forward task, but there is a lot more to it than you might think. Drainage is a major concern in all areas of your property but a proper Blackfalds eavestrough cleaning is a must! The perimeter drains around your property fill up with any number of unwanted materials and getting them out can be tricky. Instead of taking on all the hassle on your own, call a Gorilla to do it for you. Calling in the professionals for your Blackfalds gutter cleaning. When you enlist a professional for your Blackfalds gutter cleaning, you are getting more than just convenience. As clutter builds up along your drainage system, it invites all new problems. A sub-par removal doesn’t prevent these issues from happening but only slows them down. When you want to get the full lifespan out of your drainage system, it is important to keep things clear and running smoothly. Just getting up there on your own can be a trial – and it can be dangerous as well. Instead of climbing on slippery surfaces, high above the ground, let a Gorilla handle your Blackfalds eavestrough cleaning instead. Having a Gorilla swinging by for regular maintenance can keep your system running smoothly all year round with none of the negatives! There are plenty of property maintenance companies across Alberta so picking the right one can be tough. As a property owner, you want a team behind you that operates safely and effectively, as well as having great timing and customer service. All of these things can be difficult to come by at once but our Gorillas have it all! Each and every one of our removal experts are equipped with top of the line safety equipment and tools. Most gutter systems are made up of covered and uncovered materials, making it nearly impossible to get in there using only hands. Vacuums are the answer to the problem of protected but clogged areas. By using the right tools, our Gorilla are able to make sure that every clog and blockage is freed up from your space. If you are curious as to what this looks like, just ask! 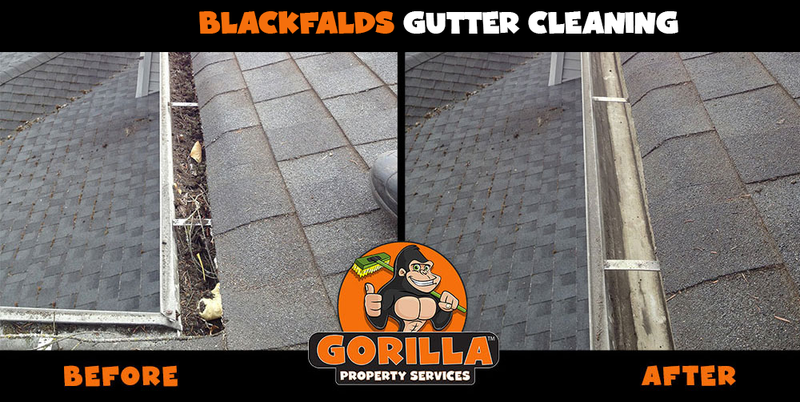 We are so proud of the results of our Blackfalds gutter cleaning that we want to show them off using ‘before and after’ photos.